Suports the boom while in the stored horizontal position. 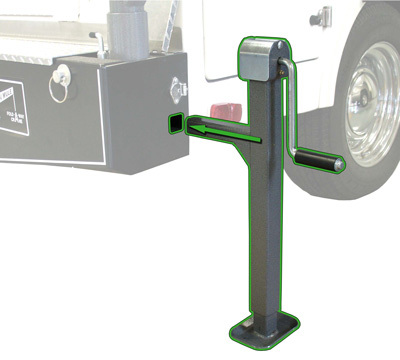 Prevents stress to crane components which can be caused by driving while boom is unsupported. 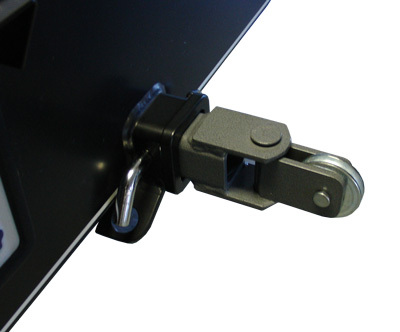 A positive locking device for securing the boom at 12-fixed points of rotation while operating the crane. Compact, water resistant & equipped with a belt clip. Fifty foot range and a long battery life provide you with the freedom to move about while not being tethered to the crane. A Removable Crank Down Outrigger for added stability and leveling of crane. Useful when crane is used on unleveled/uneven ground. This accessory is necessary if you desire to use your Western Mule Crane for winching of the vehicle or to winch loads to the vehicle. 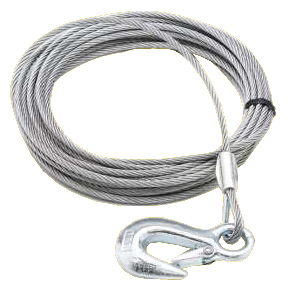 Optional Stainless Steel Cable and Di-Electric Rope are available. 120 VOLT AC POWERED: FACTORY INSTALLED ONLY! MANUAL HAND CRANK: FACTORY INSTALLED ONLY!